Live-streaming has become a key way individuals and groups now experience videogames. Sites like twitch.tv offer players simple ways to broadcast live video of their gameplay along with audio and/or video images of themselves as they play, commentating as well as responding to viewers. 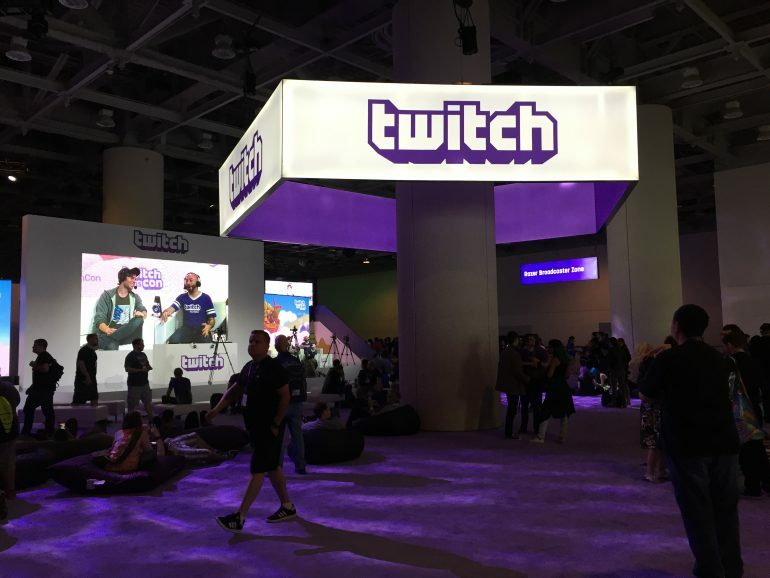 Videogame streaming has quickly become big business- twitch.tv launched in 2011, and now claims more than 100 million viewers per month, who are watching 1.5 million broadcasters playing all sorts of games. Acknowledging the potential lucrativeness of the endeavor, Amazon bought the service in late 2014 for $970 million. Who is streaming their gameplay, and how do they make sense of this experience? In popular media accounts, we hear mostly about e-sports teams and players who compete informally and in organized tournaments centered around games such as Riot Games’ League of Legends. Researchers have identified three main types of streamers – those centered on e-sports, those interested in speed-running (players who try to complete a particular game as quickly as possible), and the ‘Let’s Play’ community (named due to their original presence on YouTube posting gameplay videos under that moniker), where streaming is not focused around competition or skill, but is instead focused on “how entertaining they are as they play the game.” This key group of streamers comprises individuals who play both single and multiplayer games, sometimes amassing huge followings based on their personalities and play styles. Other researchers have found that many such streamers work hard to create or maintain a sense of community as they play, employing moderators, subscriber-only elements, and direct communication with viewers in order to be successful. But what defines success? One thing that we do know is that in the world of ‘Let’s Play’ streamers, a certain type of streamer is given predominant attention and money- mainly male and young streamers, although there are some women in this community. Looking at the lineup of featured speakers at the 2015 TwitchCon convention, the list of 46 “featured broadcasters” includes only 6 women, and no one who looks much over 30. We likewise know little about streamers in relation to their racial and ethnic minority status, their sexuality, ability, or other markers. What we do know is that as with other new media technologies, early adopters – white males—are the valorized group, and their practices and beliefs are being set as the standard by which to judge all later entrants to streaming, in terms of what counts as ‘success’ and what counts as failure or non-engagement. But what of the women, players over 40, the disabled, non-cis-gendered, or differently constructed individuals who stream? How do they make sense of the experience, and is their activity appreciably different in ways from the dominant discourse with which we are being presented? Examining media accounts of ‘top streamers’ it would seem such individuals do not exist. Yet if we are all playing games in such large numbers, they are out there, even if they don’t have the highest subscriber counts, or the most watched channels. This 3 year research project aims to accomplish several goals. First, it focuses on finding and identifying the alternative voices in streaming, documenting their streams and discovering how they enact gameplay via this practice. Second, the project will give voice to the marginalized streamers, investigating their experiences and practices, their beliefs and views. Through participation in streams and via interviews we seek to discover what games they play and how they choose them. We further ask what they talk about when streaming, and how do they interact with their audiences. Do they seek to build communities and subscribers to their channel, and are they interested in revenue? Finally, are their practices and discourses reproducing dominant ideas about what gameplay entails and how people play, or are there differences and deviations that should be documented and explored?